This interview concerns Mary Robinette Kowal—yes, the undertaker who rings a bell at the end of every panel at the Nebulas, saying "Bring out yer dead." You already know her as the person who bakes the best pies, who has that d20 that has been in outer space, and who gleefully added live-action roleplay to croquet. But did you know she also writes books? 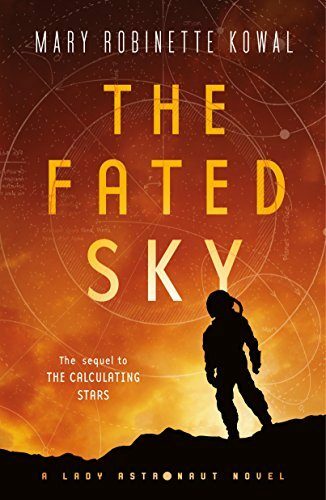 You have two books coming out this July and August: The Calculating Stars and The Fated Sky. Tell us about them. These are my Lady Astronaut duology. The first book opens in 1952 about two minutes before I slam an asteroid into Washington, D.C. (I wrote this in 2016, so I swear it's not wish fulfillment), which kicks off the space program fast, and hard, and with an international effort. It's a time when computers were still women mathematicians and not mechanical devices, so this is very much woman-centered science fiction. When you realized you were going to take "The Lady Astronaut of Mars" universe and turn it into novels, why did you choose this setting, this meteor impact? What does the character of the setting mean to your story? It's probably more accurate to say that the meteor impact, which is the backstory of "The Lady Astronaut of Mars," kept waving in the back of my mind. The more I looked at it, the more I realized that there was a lot of fodder for story there. 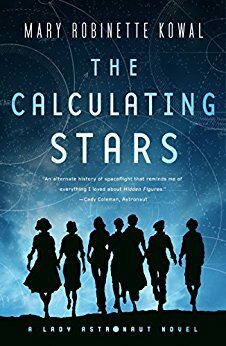 In fact, my original outline for The Calculating Stars was for a single book, but we split it into two because there were so many opportunities. I could honestly write in and around the meteor strike for multiple novels. In essence, what I have is an apocalypse, which is taking place in the 1950s, right after WWII and in the middle of both the Civil Rights Era and the Cold War. There are so many tensions inherent in any aspect of that, that it's hard not to write stories there. The time of your setting is more recent than most of your books. Were you able to use oral memories of family members or friends for some of your research? Yes, in fact. My father-in-law was a Vietnam-era fighter pilot and flew a number of the planes that Elma flies in the novel. He was able to help me with a lot of vivid sensory details. He and my parents would have been teenagers when the book starts, so their memories for social aspects were fuzzier. But conversations that I've had over the years with my grandmothers both found their way into the book. I remember Grandma talking about gloves and always needing to have gloves that matched your dress. And I remember Robby (the grandmother from whom I get Robinette) talking about the first time she saw a woman in trousers and how she was the most elegant creature in the world. What was your favorite thing to research for this project? Space. Clothes. Spaceclothes. At heart, I'm a giant geek, which I know is terribly surprising, and I write science fiction because I can't be an actual astronaut. So diving in and getting the sensory details by reading astronaut autobiographies and histories of the era hit all of my happy places. But actually going to NASA and talking to astronauts was … I'm still giddy. Astronauts Kjell Lindgren and Cady Coleman were amazingly generous with their time. Kjell invited me to see a full run (simulated spacewalk) at the Neutral Buoyancy Lab, which was Very Cool. And Cady gave me tons of details about how being inside a spacesuit was different as a woman than as a man, because the suits are designed for men. Catalog this as "things Mary Robinette did not think about" but it's a really key example of why researching space clothes was so neat. There is a strong focus on people going into space in this duology. How does it reflect your own views on the place of space exploration in general and NASA in particular? We should go! There's a ton of things that robot exploration can do better and more safely than human exploration but one of the best ways to build empathy—besides reading fiction—is to travel to other places. It's the difference between reading about Iceland and going there in person. You can't get a sense of scale or the wild, visceral strength of the wind. Experiencing those is magic and when you come back, everything about home that you love gets popped into bright relief. It makes you grok that your idea of "normal" is just a regional variation. Every astronaut who goes into space comes back changed. So for me, the value of human exploration isn't about what we'd learn about space. It's what we'd learn about Earth and Us. You've used the term "punchcard punk" to describe these books. What does it mean, and why do you feel it is a vehicle for representation? The first program I ever wrote was on punchcards. All it did was write my name, but still. My dad started working for IBM when computers took up entire rooms and when I was little, I would go visit him at work. He'd take me into this room filled with massive machines humming, and tapes spinning, and the punchcard machines rattling, and that—those early memories—are where I linked awe with computers. My phone? A bajillion times more powerful, but it's become mundane. What I wanted, with this universe, was to capture the sense of wonder from the early days of computing. I mean, we sent people to the moon in a jiffy-pop spaceship programmed by women with pencils and pieces of cardstock. Tell us about queer representation in your books, and how you feel you've grown as a writer in this area. Where do you feel your challenges lie? Well, my first books were all cis-het people all the time. I started doing a spreadsheet to look at various axes that my characters existed on and realized that I tend to default to straight people and people who are cis. Although I've included nonbinary characters before, they were more in the Dumbledore category, because in historical works, I hadn't yet figured out how to signal without making my main character aware. The problem with writing a story set in 1817 and having an openly trans character is that it would become a plot point. I wanted to have these folks exist in my world without having their sexuality/gender/orientation be a plot point. In the Lady Astronaut duology, I made a conscious effort to populate the world with characters who reflect the world I live in, which means that there are characters who are bi, trans, ace, gay, and even some straight folks. Because it's the 1950s and the books are written in first person, my main character isn't aware of most of this. And, let's be clear, I'm sure that I've made mistakes. But at least I'm not making the big ones. I don't kill the only gay character in order for the straight character to learn something about herself. There's no traumatic coming-out moment, in which my main character learns something about herself. What I hope I've done is just included people who would've been there in real life, instead of continuing to contribute to the erasure. You're one of SFF's most accessible authors—you've opened your writing process to public view, you engage with folks on social media, you've a growing list of class alumni, and you have devoted a lot of service to the SFF community. What's your mindset about your role in the community? What's the most challenging thing about being so public? Golly. I got where I am today because people helped me. I started in puppetry and would not have the life I have today if a professional puppeteer hadn't introduced herself to me at the end of our college production of Little Shop of Horrors. She invited me to intern with her. I guess … I guess I just think, on a very deep level, that this is what one does. The mantra "pay it forward" is such a central tenet of the science fiction and fantasy community that it doesn't feel like I'm doing anything odd. So, my role in the community? I'm a member of the community. Communities help each other. As for challenging things about being so public? The line between friendly and friend. I like people, as a general rule, and I find them interesting and engaging. There's this concept, in the Regency, that manners are an outward expression of your opinion of others. This is why Mr. Darcy can have perfect etiquette and bad manners, because while he is being technically correct, he's expressing his disdain. So I try to treat people as if I hold them in high regard. It's rude, I think, to have good manners to Rock Star and then treat Random Fan as if you don't care about them. Sometimes, this can lead to misunderstandings because someone will mistake my engagement at the moment as a sign of a closer relationship than we have. Sometimes people will think that they are a friend, rather than a colleague that I'm friendly with. Friends, for me, are people that I feed and that I talk about my interior life with. And yes, I know I talk about depression online, but it took yeeeeeears for me to do that beyond my inner circle. I haven't yet figured out how to navigate this line between friendly and friend. Your stories feel deeply personal: it's easy to read one of your books and see your presence there. What do you feel represents you most strongly in the duology? Oof. This one has a lot of me in it, actually. There's my ongoing efforts to recognize and deprogram my own biases. Many of the conversations that Elma has in this book are ones that generous friends had with me. Parker is based on someone I used to work with. We had a different arc, because we started as friends. He was charming and talented and on every project would pick one person to hate. We'd always reassure the person he picked that it wasn't them, but he kept getting hired. He was very savvy about who he targeted. And then, after being friends for fifteen years, we worked on a show and I was the one he picked to hate. Everything that Elma experiences in this book is directly based on that. And, I'll also mention, it means that I am no longer complacent about bad behavior now. If you could design one of the characters in your new duology as a puppet, what kind of puppet would you use, and how would you build it? How would it move, and what would the voice be like? Honestly, I probably wouldn't, because this is the kind of story that is better suited for meat actors than puppet actors. I believe in choosing the storytelling medium that supports the core of the story. BUT here's some weird puppet and space trivia for you. Did you know that NBC used marionettes for the moon landings? They commissioned the top puppeteer of the day, Bil Baird, whom you would know from the Lonely Goatherd in Sound of Music. They had these as a backup, in case the broadcast from the moon failed. Apollo 12's lunar camera burned out so they actually broadcast these puppets in order to dramatize the second moon landing. The voices were live from the moon, but the astronauts, lander, and lunar landscape were the magic of puppetry. I've always wondered if this is where the moon hoax conspiracy theories started. 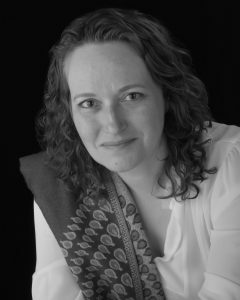 Mary Robinette Kowal is the author of Ghost Talkers, the Glamourist Histories series, and the forthcoming Lady Astronaut duology. She is a cast member of the award-wining podcast Writing Excuses and a three-time Hugo Award winner. Her short fiction appears in Uncanny, Tor.com, and Asimov’s. Mary, a professional puppeteer, lives in Chicago. Visit her online at maryrobinettekowal.com. Ness is a queer Baltimorean with a gaming habit and a fondness for green things. Ve works as a developmental editor, learning designer, and writer, with the occasional calligraphy commission on the side. Ve started as an articles editor at Strange Horizons in 2012.